There is a very good choice of Umbrella Companies for IT Contractors. There are more than 200,000 contractors using them now. 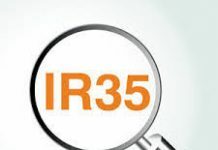 Umbrella companies allow contractors inside IR35 to keep a bit more of the money they earn than if they paid the IR35 tax. Recently the Government changed the IR35 rules for the public sector. Previously IT Contractors could decide their IR35 status by themselves. If they got it wrong they could come under investigation by HMRC. This could end up in the contractors paying tens of thousands of pounds in back tax, penalties and interest. However, the chances of an investigation for IR35 are less than them being hit by lightning. And HMRC lose the vast majority of the cases they bring anyway. So, most IT contractors still incorporate and take out IR35 insurance in the event that they do come under investigation. However, in the public sector they can no longer determine their IR35 status. 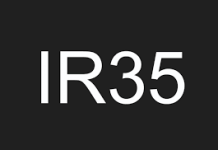 The Government’s IR35 rule changes mean that it is the Government department who now decide the contractor’s IR35 status. HMRC have created a new online IR35 Employment Status Test to help those departments decide. One agency said that 40% of their contractors who sat the test, who previously operated through a limited company, failed it. So, there was a mad scramble for umbrella companies for those contractors. As there may be financial penalties if they get it wrong some Government departments and Trusts are deciding to make all contract jobs inside IR35. 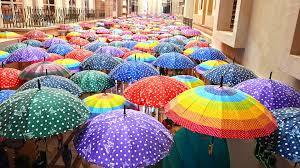 So many contractors are now using umbrella companies so that they don’t have to pay the IR35 tax. 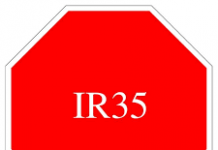 In deciding if you are inside IR35 there are three main tests. Those are Control, Direction or Supervision, the Right of Substitution and Mutuality of Obligation. If an IT contractor is told what to do, how long his, or her, tasks should take, where to do the tasks, and what equipment they should use then they will fail the Control, Direction or Supervision test. If their contract states that if, for some reason, they cannot work on the project, they can send a substitute to do the work for them, then they pass the Right of Substitution test. However, if the client company refuse to accept this clause, then the IT Contractor fails this test. If IT contractors contracts says that they contract to the client for a set amount of time and the client must pay them for that period of time and they must be present for that period of time then there is a Mutuality of Obligation between them. So, the contractor would fail that IT35 test. It would be much better if the contractor’s contract said that the agreement was for the contractor to work on a task or project till they completed it. It would also be better if the contract said that the client had no obligation to pay the contractor if there is no work for him or her. As, most IT contractors work under Project Managers who tell them what to do and how long they should take to do tasks they fail this IR35 test. As most clients of contractors will not allow them to send a substitute, they fail this test too. Furthermore, as the client must pay the contractor for the period of his, or her, contract, whether they have work for them or not, they also fail this test. So, most project-based IT contractors would fail the three main IR35 tests. So, most of those who do, turn to umbrella companies. These manage to save the contractor a bit more money than if they simply paid the IR35 tax. For advice on the mot suitable umbrella companies for IT Contractors fill in the boxes below and they will contact you.